Ms. McMurry has a degree in biology with a marine biology emphasis. 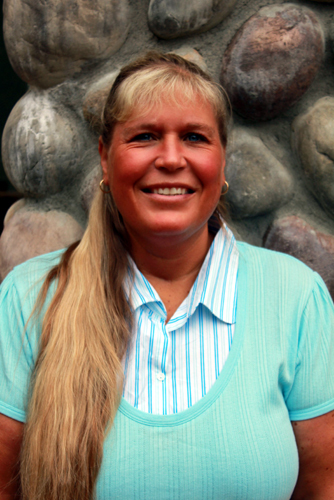 Key has over 30 years of experience working in the biological field. She specializes in stream-restoration assessment and design, streamtyping, fish electroshocking, ordinary high water mark determination, large woody debris (LWD) placement, and fish-passage culvert design. Key performs wetland delineations, and designs, installs and monitors wetland-mitigation projects. She also performs Mazama pocket gopher delineations and bird surveys. While working as an area habitat biologist for Washington State Department of Fish and Wildlife (WDFW), Key gained extensive experience assessing, designing, permitting, and implementing in-stream projects in western Washington. She was the only Area Habitat Biologist in Region 6 that was certified to use the back-pack electro-shocker. She spent many hours in the field electro-shocking streams. She helped remove fish via electro-shocking for the Goldsbourgh Dam Removal project. She developed, prioritized, negotiated, and implemented fish and wildlife resource protection and habitat-protection efforts with landowners and government agencies and reviewed forest practices and Aquatic Resource Permits Applications (JARPA) for culvert and bridge designs, large woody debris (LWD) placement, and bulkhead design. At WDFW, she authored over 2,500 Hydraulic Project Approvals (HPA’s). While at WDFW, she reviewed thousands of streams for; stream typing, Bankfull width (BFW), ordinary high water line (OWHL), and overall habitat. She also provided technical assistance and review for the management, protection, preservation, and enhancement of multi-species assemblages of fish and wildlife habitat in freshwater, wetlands, and marine waters for landowners and governments at the local, state, and federal levels including Indian tribes. She assisted in writing the Water Resources Inventory Area (WRIA) 24 Strategic Plan with the Pacific Conservation District. Reviewed all Forest Practice Applications within Pacific, Grays Harbor and Thurston counties. Ms. McMurry worked as a Marine/Environmental Biologist assisting the Shoalwater Bay Tribe with watershed planning and environmental permitting. She performed field work and developed quality assurance/quality control plans and data collection designs. Other tasks included collecting water-quality, fisheries, shellfish, stream, lake, and wetland data, mapping with GPS and GIS technology, assessing collected data, recommending restoration projects, and writing reports. Other duties included developing an environmental-education program and writing grants. Key is currently working on several Key Environmental Solutions, LLC. (KES) projects that involve stream, river, hydraulic, wildlife surveys, and bird issues throughout southwest Washington. She is also working on several wetlands delineations, Mazama Pocket Gopher Studies and a Osprey Habitat Management Plan. Key loves doing stream restoration work from: stream channel design, streamtyping, LWD projects and developing riparian planting plans. Key is also worked with a surface mine permit team on a project involving elk in the Packwood, Washington area. She also recently worked on the Allwood Project which involved surveying for birds and protecting the WDFW urban natural open space area. Project Manager, Klineline Bridge Replacement Fish Removal Project, Clark County, Washington. Project Manager for the Pacific County Anglers and the Green Creek Stream Restoration Project. The project removed two large weirs and opened up 5.89 miles of salmon habitat. Assisted in performing bird surveys for the Coastal Community Action Program on the Grayland Wind Turbine Project. Project Manager, Unnamed Tributaries to Mill Creek Culvert and Bridge Fish Passage Replacements and Large Woody Debris Projects. Environmental Project Manager for the new Mark Reed Hospital. Wrote a Biological Assessment, obtained all required permits, performed jurisdictional wetlands delineations, designed a new 1500’ long channel for McDonald Creek, performed fish removal and construction oversight. Environmental Manager for the new Columbus Park Water System. Project Manager for Stillman Creek Restoration Project. Created a 450’ side channel and installed 4 Large Woody Debris Structures with 650 pieces of LWD. Expert witness for on streamtyping issues for Delahunt and Daman’s. At Washington Department of Fish and Wildlife, Key authored over 2,500 Hydraulic Project Approvals and reviewed thousands of streams for typing, bankfull width, ordinary high water mark, and habitat. Key assisted in the preparation of the Water Resources Inventory Area 24 Strategic Plan with the Pacific Conservation District. Key participated in the writing of the Washington State Wetland Banking Rule. Key worked on the Exxon Valdez Oil Spill Coastal Habitat Injury Assessment project in Alaska for 10 years. Assisted with the Coastal Salmon Partnership Strategic Plan. Approved by WDFW/RCO to perform culvert barrier assessments. Project Manager for the MaClasin, Klemp, Kaech Brothers, and Mannifor Family Forest Fish Passage Program (FFFPP). Project Manager for the Pacific County Anglers and the Stringer Creek Barrier Removal Stream Restoration Project. The project will remove large barrier culvert, restore stream functions and will open 6.6 miles of salmon habitat. Project Manager for the Sylvan Terrace Home Owners Association and the Michelle Creek Barrier Removal Project. The project removed three barrier culverts and replaced them with a new bridge. This project opened 1.2 miles of salmon habitat and provided access to a very large wetland complex. Stromseth, City of Shelton, Wat Prachum Raingsey Buddhist, Thurston County Public Works, Sagewood, Medela Group, City of Tumwater, RUDARA, ESD 113, Carl Teitge, Doug Bloom, Dale Hedden, and Baker Mazama Pocket Gopher Habitat Management Plans. KES has performed over 90 Prairie Habitat and Mazama Pocket Gopher Recons or Habitat Management Plans.